You’ve been out to eat. You had a great meal. You think how wonderful it would be if you could just make it yourself – then you could eat it whenever you wanted. But how could you ever figure out how to make it without just getting the recipe from the restaurant? 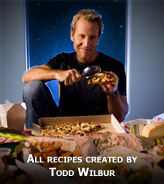 Discover the recipe cloning that comes from Top Secret Recipes. Got a recipe you want to find? You can search for it to see if they’ve broken the secret yet. The search is straight-forward, and results are pretty quick to comb through. Some recipes, as you can see above, are free while some cost. The few recipes I’ve looked at were all 79 cents, but I don’t know if that price carries across to all payment-required recipes or not. Unfortunately for me, the queso recipe I was looking for isn’t there. 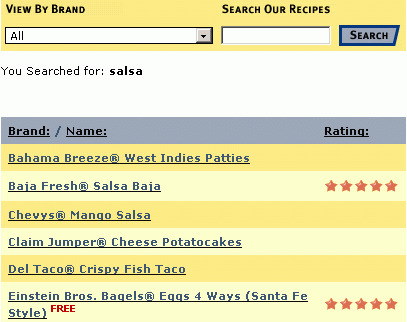 For recipes which are available, Top Secret Recipes has ratings by users along with comments on how closely the prepared food matches the target item.